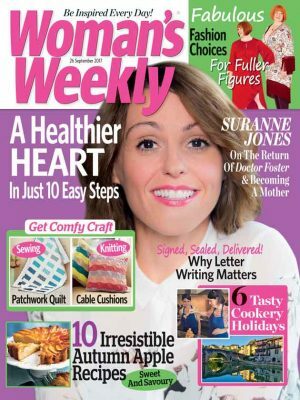 Here at Woman’s Weekly we’re rather excited that another royal birth is just around the corner. 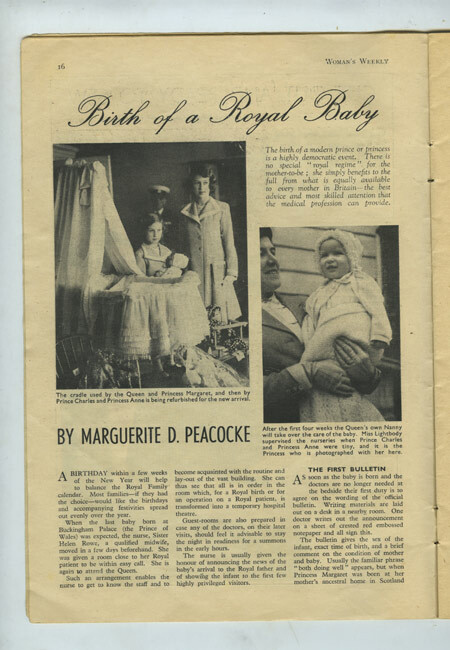 We’ve been busy hunting around in our vintage archives to see what royal baby pictures we could find from the past. And, the Woman’s Weekly archives didn’t let us down. 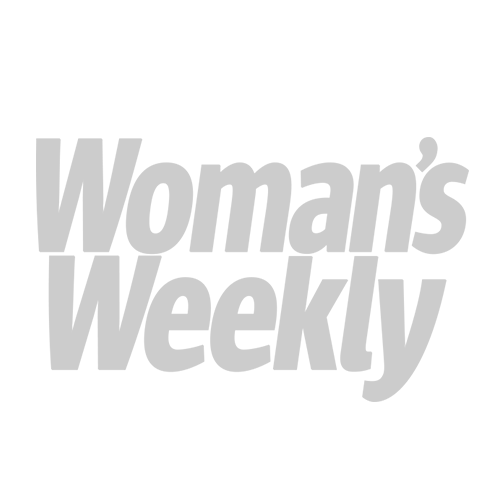 Take a look at the lovely pictures we found. 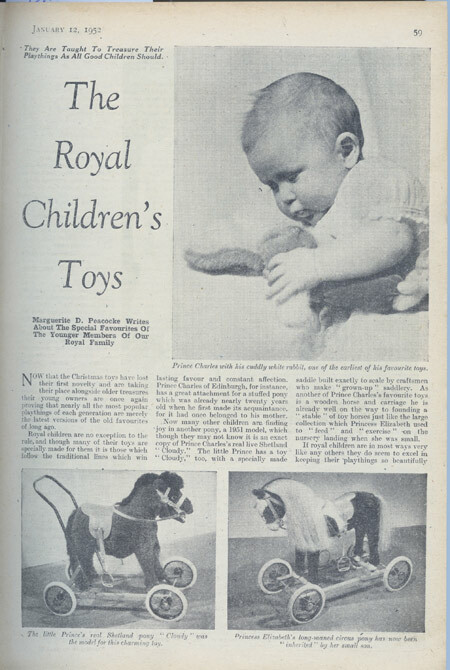 This adorable picture of Prince Charles has been taken from a 1952 issue of Woman’s Weekly. The young Prince is pictured with a cute cuddly white rabbit, one of his favourite toys at the time. Pictured here is a rather cosy looking Princess Anne with her nanny, Miss Lightbody, taken from a 1960 issue. The beautiful cradle seen in the vintage picture above was used by the Queen, Prince Charles and Princess Anne, here it is being refurbished for the birth of Prince Andrew. How lovely is this happy family shot taken in the garden of the private apartments at Windsor Castle? Even the pet dog shares the limelight! 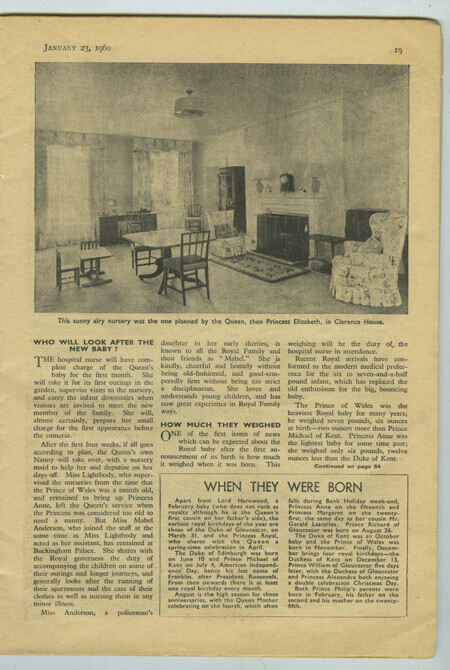 In the picture above you can also see the bulletin announcing the birth of Prince Andrew that is hand written and gives a brief comment on the condition of mother and baby. Certainly no announcements via social media! Haven’t times changed? 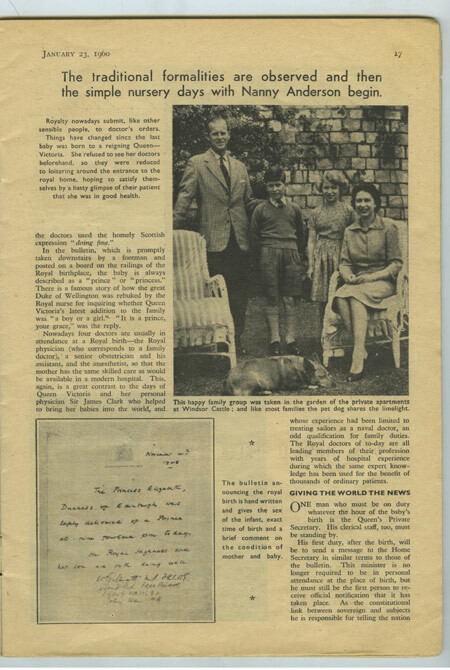 Finally, we’re lucky enough to share a glimpse into the sunny nursery used by Prince Charles, Princess Anne and Prince Andrew thanks to this picture taken from a 1960 issue of Woman’s Weekly. Looking back at vintage pictures of royal babies has certainly made us even more excited for another royal arrival. We can’t wait to see lovely pictures of the new addition to William and Catherine’s family!